"Swipin’ coal from the freight yards." Oklahoma City, Oklahoma. April 1917. Photograph by Lewis Wickes Hine. View full size. Submitted by EvenSteven on Sat, 06/20/2015 - 11:57am. In the early 1900s my father along with three sisters and four brothers lived in an area in Baltimore then known as Goat Hill (long forgotten now) just off the end of 25th street and not far from what is now a Norfolk Southern rail yard. Whenever there was a line of coal cars parked in the yard the word soon spread all around Goat Hill, Remington and Hampden and an army of adults and kids would swarm the area like fire ants on an ant hill intruder. Some of the boys would climb up the cars and start kicking the mounds of coal to the adults and young girls below while others kept a eye out for any bulls (railroad cops). My Irish grandmother, Estella "Stella" Mannion, even though a very devout Catholic, did not put this in the realm of stealing with her socialist reasoning being that the Big Railroad Men were cheating and stealing from the working people it was only right the working people get something back that was stolen from them. Goat Hill supposedly came from the goats the families kept in their backyards for their milk. My father and uncles always bragged they grew up so strong and handsome because of the goat milk. Submitted by Anonymous Tipster on Sun, 10/14/2007 - 8:33pm. I live in Australia and steam locomotives ran the rails until the 1970's. In the mining village where I lived the last steam locomotive was retired in October 1967 and replaced by a diesel-hydraulic GE 44 tonner. As a young boy, I lived very close to the railroad tracks. 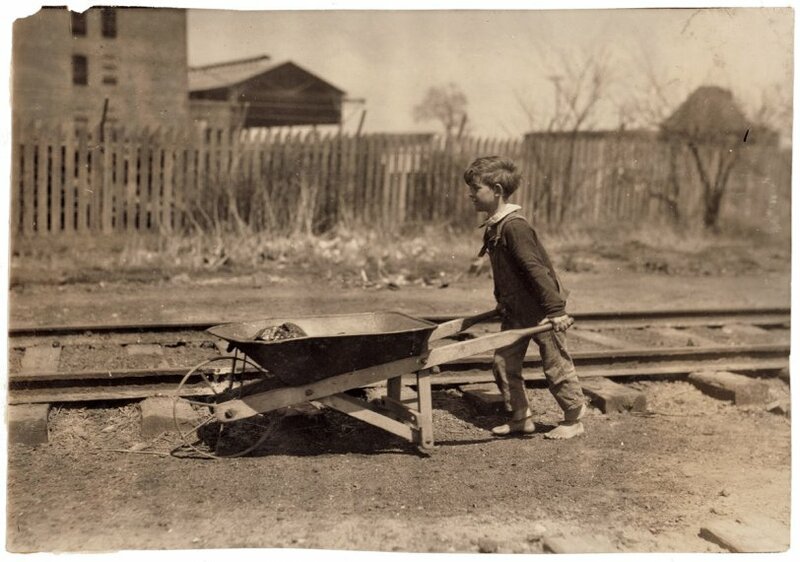 My mum would send my brothers and me off with a metal bucket to pick up loose coal that fell from the locomotive tender as it went about its business. We were lucky though. The engineer, a chap named Laurie, was a family friend and sometimes he would stop and shovel coal into our buckets to save us some time. Great Photo! It brought back a good memory. Submitted by Anonymous Tipster on Thu, 03/22/2007 - 1:34pm. My father told us that he would look for coal along the tracks putting the finds into a burlap bag. This would have been around 1930 in the Wilson section of Clairton, PA. Submitted by Anonymous Tipster on Wed, 03/21/2007 - 11:14am. My grandmother, who is 101, tells how she and her brother would go and collect coal that fell from the train, so they would have heat. Her father had abandoned the family and her mother did laundry to keep them alive. My grandmother said that sometimes the train folks even threw out coal on purpose for them.